Janine Vogler Vintage cars related to ZF-products have been at the heart of the journalist. Outside of work, she enjoys to ride motor bike or to be accompanied in nature by her dog. Founded more than 100 years ago in Bologna, Italy as workshop for racing cars by the Maserati brothers, the company like hardly any other manufacturer represents the trinity of elegance, sportiness and comfort. The brand stands for sensual emotion, for pure understatement as tradition. 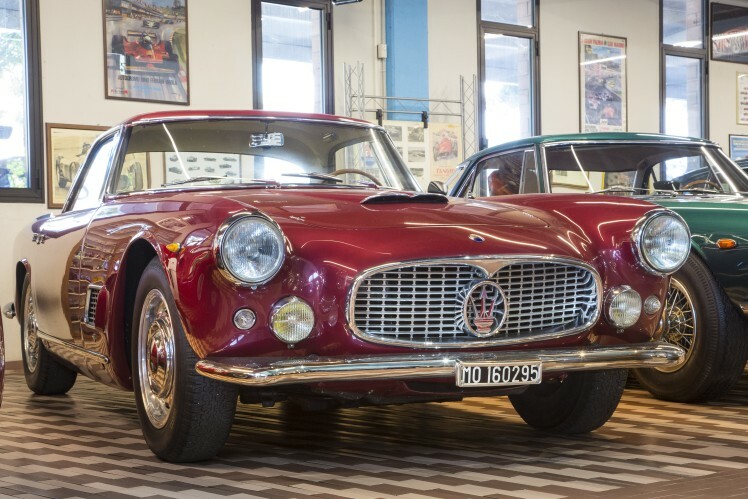 Pursuing the motto "The best of all", famous coachbuilders like Allemano, Pininfarina or Giugiaro contributed to the success of the Maserati cult brand, alongside the legendary engines with their mighty capacity and the addictive sound they make. The targeted focus on innovative drive solutions is distinguishing the Italian models. No wonder the Italian manufacturer has ever since - up to the presence - relied on German transmission technology by ZF. Those who go looking for historical traces need eyewitnesses from the relevant time period. We were lucky enough to find a living legend who knows everything about the company with the trident logo- Ermanno Cozza. 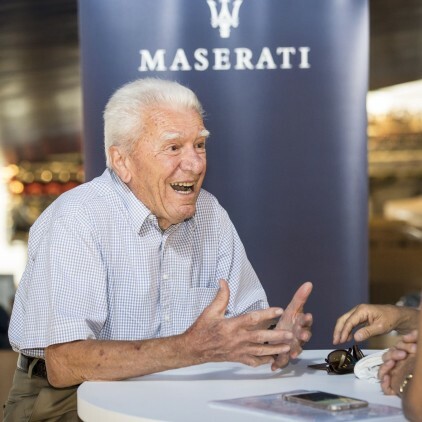 We met the 85-year-old man, who is associated with Maserati like no other, in his home town of Modena. Even as a young boy, he found a passion for the auto brand with the trident, and now he has just published a book about it. His elementary school was no more than a kilometer away from the Autodromo di Modena and during breaks he was able to hear the race engines in the test cars. "I could even see the cars from the school fence, but they didn't interest me at all. I was totally fascinated by the sound of the engines. All auto makers tested their vehicles there – Maserati, Ferrari, Stanguellini – however, when I heard the Maserati engines, I closed my eyes and savored the sound. It made me curious, I wanted to see what was inside," he explained with a smile. His eyes lit up as he talked, as if it were yesterday. A living legend of the trident: Ermanno Cozza is associated with Maserati like no other. In 1943, he had just turned ten years old and, during the war, a friend asked him for help to hide his motorcycle. In the process, they also talked about race engines and that's how he found out that these brothers from Bologna might indeed build the best cars in the world. From that day on, he never forgot the name Maserati. After finishing his studies at a trade school, the 17-year-old began to work for the Maseratis under the trident logo. Adolfo Orsi hired him personally and he worked his way through all the departments, from race car and engine assembly to test driving and documentation to the control center. In the 1960s, he had already begun to collect all the information he could find on race cars from the 40s and 50s in order to document their history. Though he officially retired at the age of 78, he has since continued working as a consultant for the company. Today, Signore Cozza is a walking, talking Maserati archive loaded with 66 years of knowledge, experience and anecdotes about the company that no one else can match. In answer to the question on how the cooperation with ZF came about, he responded: "I remember precisely, it was in November 1956. Management was tired of expensive motorsports and wanted to focus on constructing road sports cars. After his success with race cars 250F and 300S, head engineer Giulio Alfieri received an order to build the 3500 GT with the start of volume production not far off. So he began looking for the very best suppliers. Alfieri traveled to England which is where he first heard about ZF from Aston Martin. As an experiment, he installed the S4-15 from ZF in the last four versions of the previous A6 G 54 model. The quality quickly spoke for itself and that's how the prototype of the 3500 GT came to be equipped with ZF technology. It was presented as the "Dama Bianca" (white woman) in 1957 at the Geneva Motor Show . All 3500 GT engines, except the automatic versions, were immediately equipped with transmissions from ZF." Maserati A6G 54 2000 Alemanno: From the road version of the race car A6GCS, 60 units were built, the last four fitted with the ZF S4-15. Maserati 3500 GT: The successor of the A6G 54 was equipped with the three different ZF transmission variants S4-17, S4-30 and S5-17. 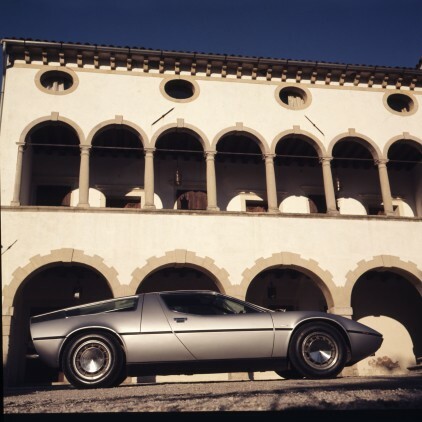 Maserati Bora: The first road sports car from Maserati equipped with a mid-size engine and the legendary ZF 5 DS 25 transmission that converts the 330 HP output. 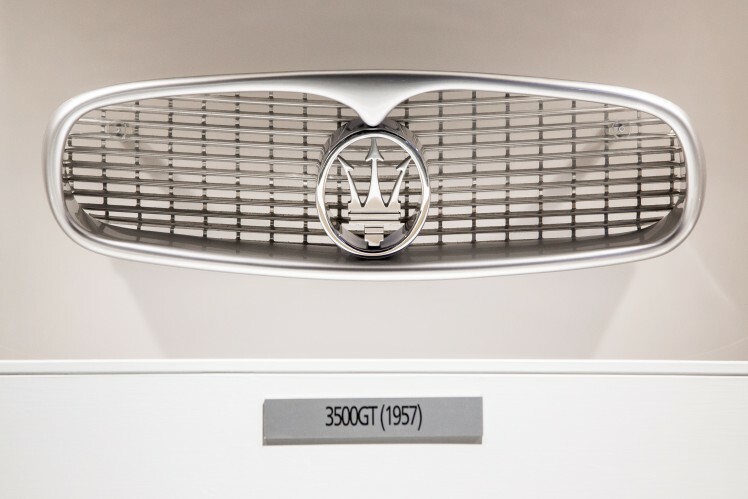 Especially beautiful: Radiator grill of the legendary Maserati 3500 GT. 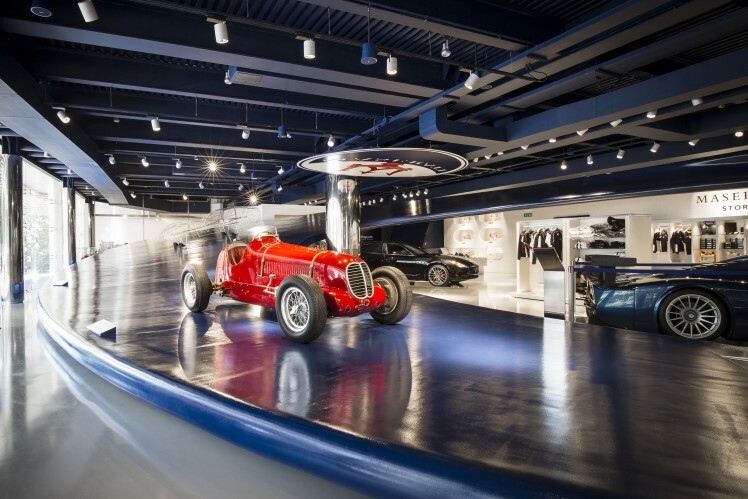 Maserati Showroom: A ten-ton honeycomb structure made of carbon and glass fibers is a reminiscent of the race track of Indianapolis. 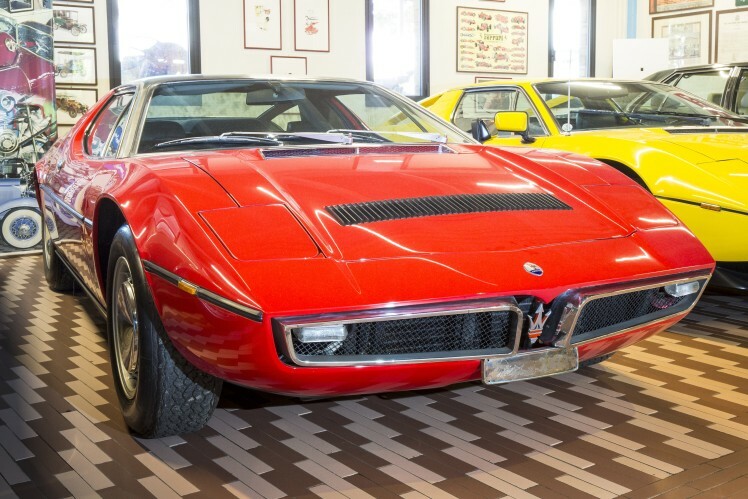 Maserati Ghibli fitted with ZF S5-325: Gioregetto Giugiaro created the open Spyder-version, which was produced from 1968 until 1973. He continued to talk and spared no praise for the German quality work: "It was an outstanding cooperation with ZF, I went to Friedrichshafen for the first time in 1957 and we had a close relationship. ZF was truly the best company in Europe and the only one with whom we never had any problems. Whenever we ordered something, regardless of whether it was a complete transmission or spare parts, everything always arrived after a week – and the quality was always perfect." The anniversary of Maserati's second major World Championship title, won by Fangio with the 250F on August 4, 1957 with the 250F at the Nürburgring race track, was his fifth and last World Championship title. 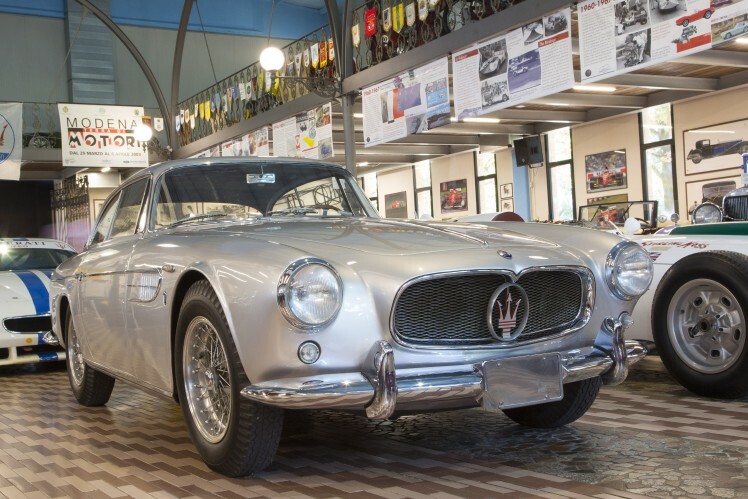 For Maserati, it was the end of an active motorsports career and simultaneously the beginning of a new era since Alfieria once again hit the mark with the 3500 GT. Embedded in the timelessly beautiful design, an inline six-cylinder engine produces the entire 240 HP from 3.5 liters engine displacement with two upper camshafts and three dual carburetors. This enabled it to reach its highest speed of 230 km/h and immediately become an equal of Ferrari, though its sports car had the double cylinder number at its disposal. The interesting tube frame design, consisting of a solid axle in the rear and a front independent wheel suspension on trapeze v-rods, offered sufficiently creative space, in addition to the touring factory configuration for well-known chassis manufacturers, such as Frua, Bertone or Vignale. The Vignale version impressed customers so much that it was later accepted into the factory product line. During its nine-year production period, the various customer requests also led to three different ZF transmission variants being deployed: through the S4-17 and S4-30, the five-speed version was later also equipped with the S5-17. Even the Shah of Persia ordered the model as a stronger 5000 GT version. "Luciano Pavarotti also owned a 3500 GT in the Sebring configuration," explains Signore Cozza spritely. "He was a friend of the company and also a brand ambassador – regardless of where he lived in the world, there was always a Maserati waiting for him as soon as he left the house. When the Maestro made an appearance, the importers had to make a car available. Then I would receive a call: Signore Cozza, the Maestro is coming, he needs a car – preferably a Quattroporte since it had to be a big car." 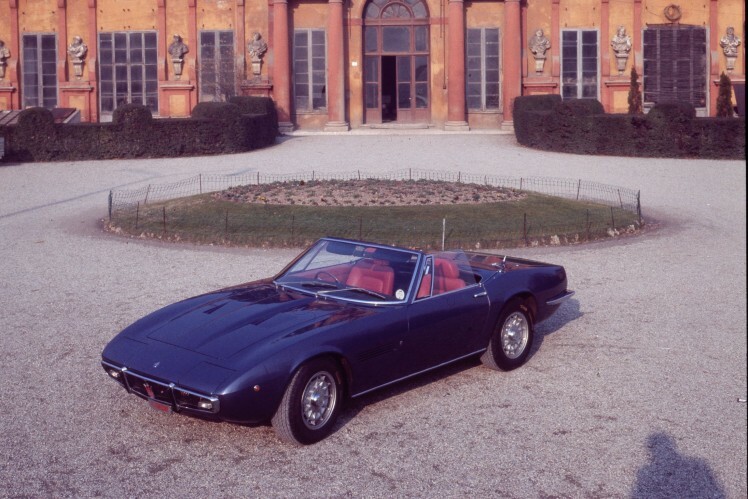 In Europe, Germany was the main importer of Maseratis in the 1960s. Automatic transmissions were not an issue at that time and no more than 15 or 20 units in total were sold annually. 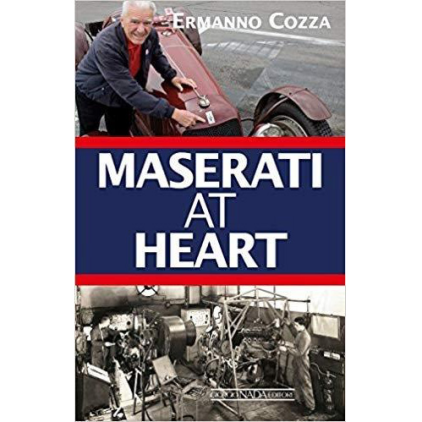 Signore Cozza also explained the legendary rivalry between the two major manufacturers Maserati and Ferrari in the 50s as follows: "This is how it seemed at the time: Maserati belonged to Modena and Ferrari, in our minds, was practically in Stockholm! There were 20 of us students in the vocational school. Ten of them started working for Maserati when they finished and the other ten from south of Modena went to Maranello to work for Ferrari. This drew an invisible line through the city which made it inconceivable for Maserati employees to assemble a Ferrari. If someone had said to us back then that we would one day work for Ferrari, we would have said they were crazy," he explained. Maserati Bora: With the homemade V8 engine and ZF 5DS25 reached up to 265 k.p.h. After Alfieri Maserati, the driving force of the Maserati brothers, was in a severe race car accident in 1927, he died a few years later from associated complications. Yet despite his tragic death in the 30s, the young company was nevertheless able to grow stronger, but the fierce competition from Germany and the pre-war years put the Italians under major pressure. In 1937, the Italian businessman Adolfo Orsi purchased the company and moved it two years later to its current location in Modena. The Maserati brothers continued to manage the company for another ten years before they returned to Bologna and started focusing again on building race cars under the brand name Officine Specializzate Costruzione Automobili or OSCA, for short – they did stay loyal to ZF. Please find the complete article and even more as download here. Maserati - 80 years ago, the successful entrepreneur Adolfo Orsi from Modena bought the company from the charismatic brothers. How does it feel when one of the most emotional automotive brands had been owned by your family but had to be sold? Maserati is committed to having the most modern production facilities and outstanding working conditions. We wanted to know, how these requirements are implemented and we visited the production plant in Modena.